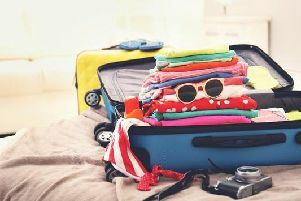 Travel lovers and sun worshippers can beat the post-Christmas blues by sorting out their next holiday at a travel exhibition in Whittlesey on Saturday, 24 January. The third Greater Peterborough Holiday Show runs at the Manor Leisure Centre in Station Road. The event is being organised by independent agents Whittlesey Travel who are based in Market Street. It runs from 10am to 3pm in the leisure centre’s conference hall and gives people the chance to choose from most destinations around the world for their next break. Alternatively, UK holidays will also be available for those who wish to explore more of their home country. There will be around 20 holiday operators showcasing their best deals on the day and open to talking to visitors who may wish to know more about different venues across the planet. For those looking to plan ahead, holidays for 2016 will also be available. Booking well in advance will mean cheaper deals for those who do not mind the wait. Alternatively, the more spontaneous jetsetters can even fly off that day should they wish to escape the cold weather and find themselves in sunnier climates. The sounds of the Caribbean will also be coming to Whittlesey with a steel band performer playing in the background as people walk around the conference hall. In addition, visitors who want to leaf through some brochures will be able to enjoy a tea or coffee with some cake should they wish. A raffle is also set to take place on the day. Previous years at the show have seen 250-300 people turn up, and another good turnout is anticipated this year. The event is free to enter and travel advice will be available. Sarah Langford, director at Whittlesey Travel, believes this year will be another great day at the holiday show.